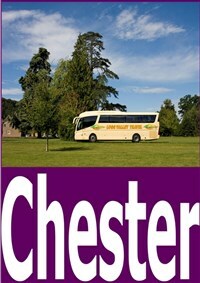 Coach travel is a fantastic way to get around without the stress and worry of driving and parking! Just take a seat and we will take you to your destination. 2019 Coach Holiday Brochure out now! Don't miss out on a fantastic holiday, request your copy now! Coach holidays truly are the best way to enjoy a relaxing, stress free holiday! They are wonderfully easy, and a great way to make new friends and enjoy the company of old ones. On all of our coach holidays we have pre-arranged your accommodation, your meals, and on the majority of holidays we have even sorted out an exciting itinerary for you to enjoy! Of course, if there was a day on holiday where you would prefer to do your own thing rather than follow the itinerary with the group, then that is absolutely fine! Just let your tour driver know you will not be travelling that day. It is your holiday after all and we want you to enjoy your time away! So go on, give a coach holiday a go! 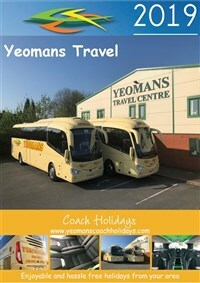 Book your holiday today with Yeomans Travel! 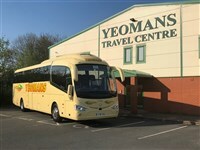 Yeomans Canyon Travel Limited is an appointed representative of ITC Compliance Limited which is authorised and regulated by the Financial Conduct Authority (their registration number is 313486) and which is permitted to advise on and arrange general insurance contracts. We hope you are able to find a holiday right for you and look forward to welcoming you on board a Yeomans Tour in the near future! In addition to the Tours advertised, we also use our expertise and experience of Tour Planning to create tailor-made coach holidays to meet the requirements of individual groups. If you have a group of 25 or more we would be delighted to help you create a unique holiday. Please do not hesitate to contact our Tour Department for further details. Sometimes all you need is a day away from your usual routine.. so why not take advantage of our day excursions programme. We have a wide range of excursions to suit everyone.. from the Birmingham Bullring and other super shopping destinations for shopaholics, Theatre and Show dates for theatre fans, and lovely seaside towns for those of you who love the sand between their toes! You can enjoy great days out for less with Yeomans Travel. Our website is currently being updated and the Online Bookings Facility is currently unavailable, but you are now able to browse our current coach tours online at a time that is convenient for you. 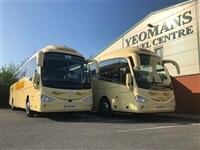 We are a family run coach company that has been serving Hereford & it's County since the 1920's. H.H Yeomans of Canon Pyon started using his cider lorry to carry passengers into Hereford for the Wednesday market. Later in the year he ran twice weekly to Hereford and weekly to Leominster and by 1931 nineteen stage carriages were in operation and covering a wide area. We continued to expand to become a major presence in the English Marches Area and a well respected Company within the Coaching Industry. As the Company has grown, in 2008 we completed a move to our new purpose built Travel Centre offering a new standard of quality including state of the art maintenance facilities. Our company has been approved as a centre to deliver the Driver CPC (Certificate of Professional Competence). We train drivers to a nationally recognised standard with our qualified trainer in our own training centre. Our commitment to your travel needs and comfort is shown as all of our drivers have had additional training and they now hold an NVQ level 2 in PCV driving. We have a fully authorised Test Centre for our PCV & LGV Vehicles. Our fully trained staff have many years experience in maintaining vehicles to the highest standard. Our Tour coaches are fitted with Alcolock GB Immobilisers, the driver has to provide a clear breath sample before the vehicle will start. Yeomans Travel was proud to be a part of the London 2012 Olympics providing corporate travel including sponsors to the games. 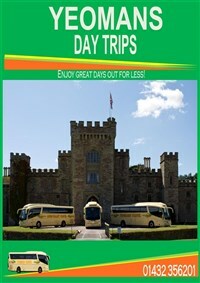 Great Days out for less! 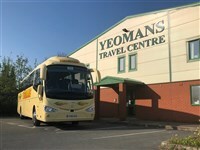 Great value days out, hassle free with Yeomans! A visit to Cardiff Bay OR St Fagans Museum! 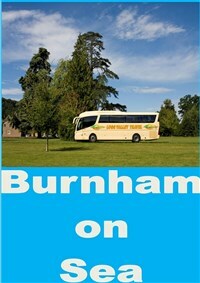 A day trip to Burnham on Sea one of Somerset's most popular Seaside Resorts! Enjoy a trip to Malvern Spring Show there is no better place for gardeners! 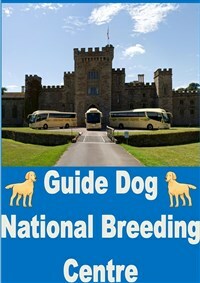 Enjoy a two hour tour of the fascinating Guide Dogs for the Blind Centre! Hassle free Holidays/Mini Breaks for less! On this holiday we stay at the popular North Cornwall coastal resort of Newquay!